There’s an interesting little project coming together over at ABC, one that might siphon off some viewers who are growing tired of hopping around Once Upon a Time’s twisted fairy tales. Still Star-Crossed is a new series that picks up the story of Romeo & Juliet after the death of the young lovers. Heather Mitchell, co-executive producer on Scandal, created the project for Shondaland based on a book by Melinda Taub. If the show is faithful to the book the series will be set in 16th century Verona, which begs an investigation into how long it’s been since a period piece succeeded in prime time on a broadcast network. A Renaissance-era period piece, I should specify; Agent Carter is hanging in there with its fantasy/noir vibe, and the CW’s Reign has been renewed for a 4th season, but its drawing just over a million viewers these days. ABC isn’t likely to stand for those numbers and really, we’d all be surprised if Shonda Rhimes produced anything that ever ranked that low. The series is perfect for the mix of politics, romance, power, and plotting that a good prime-time drama needs. As described by Deadline, the story centers on Juliet’s cousin Rosaline (Lashanna Lynch) a gorgeous, headstrong Capulet. She’s taken in by her aunt and uncle, Juliet’s parents, who force her work as a servant and arrange for her to marry Benvolio (Wade Briggs), a Montague. Considering the history of those families, the whole thing sounds pretty messed up. 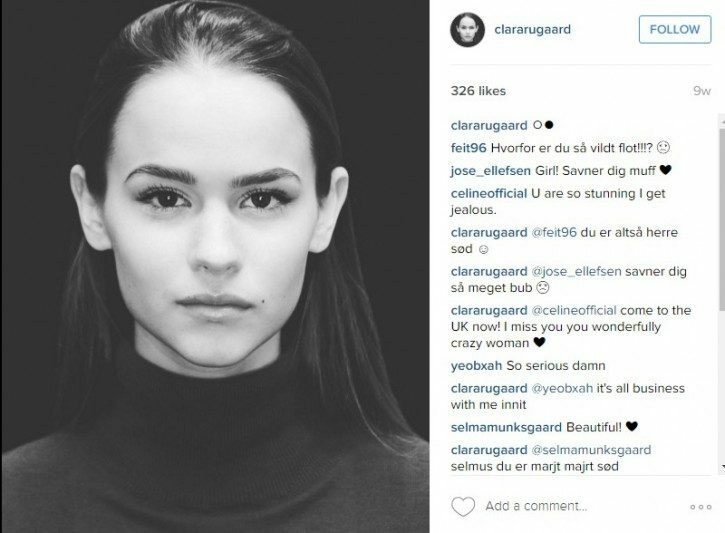 Looking at the beautiful young actress’ Instagram feed she could be any other 18 year-old. And then a photo like this pops up and…there’s Juliet. (Notice that she’s still down-to-earth enough to respond to her friends on Instagram.) No news on who her Romeo will be. Zuleikha Robinson (Rome, Lost) and Anthony Head (Buffy, Dominion) will star as Lady and Lord Capulet. Grant Bowler (Defiance) will be pulling the strings on the opposite side as Lord Montague. Sterling Sulieman, Dan Hildebrand, and Medalion Rahimi have also signed on for the series. Downton Abby proved that period pieces can pull in a loyal audience on any day of the week, and cable has long welcomed shows like The Tudors, Vikings, and Boardwalk Empire. There’s no reason a well-done, period-set show shouldn’t succeed during network prime-time. And frankly, with the popularity of new content creators like Netflix and Hulu, and increases in streaming and delayed viewing numbers, the networks are having to reframe their view of ratings. Is buzz just as important? If so, nobody better than Shonda Rhimes and company to deliver.